I posed a question on the NABA Facebook page yesterday The terms surveillance detection and counter surveillance are loosely used a lot and and often incorrectly. What’s the difference? The answers varied even to the point that one member was honest when he said he would take a stab at the answer. Surveillance Detection is the term which refer to certain skills used to detect and confirm that Hostile Surveillance is in progress. If hostile Surveillance is confirmed, the Surveillance Detection Team will then report to the chief of security who may utilize other agencies that will deal with the Counter Surveillance actions. This procedure is done in order to protect the operational cover of the Surveillance Detection Team. Counter Surveillance, is the action taken once hostile surveillance has been confirmed and might be such as tracking, infiltrating, investigating and arrest & search actions. I personally feel that everyone that is doing executive protection should be REQUIRED to have a surveillance detection course or module under their belt. Why you ask? In 9 out of 10 cases most clients will not sign off on paying for a counter surveillance team. Having a sound surveillance detection training under your belt allows the team that is providing the protection to know what it looks like if there is an adversarial surveillance being conducted. 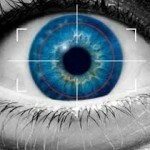 Surveillance detection courses teach [should] surveillance methodologies so that you know how it is conducted and therefore know what it looks like when you see it. Surveillance detection courses teach you how to plan and perform surveillance detection routes to further expose someone or a team you suspect is conducting surveillance on you. What many don’t realize or are too short sighted to understand is this; when someone is conducting surveillance they are not just watching your principal, they are watching you and the team. What do they glean from watching the team if their intent is to do harm to your principal? The blog I wrote yesterday – Snapshot to judgement pretty much explains it all. Conducting surveillance can tell just about everything about the team. How vigilant they are, are they trained or just a bunch dudes walking around, how often they switch shifts, does the principal wave them off, are they tired etc. If your team is inexperienced it won’t take long for them to pull the trigger [play on words] to do what they want to do. 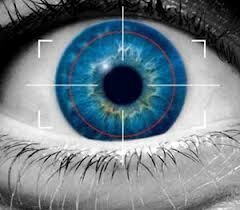 If you are actively conducting surveillance detection you make their work harder. Their behavior is reactionary because they have to conduct their craft in response to what you do. You move, they move etc. The biggest fear any surveillance team has is being detected. Without actively conducting SD you make their work easier. P.S. – The term TSCM [Technical Surveillance Countermeasures] is NOT surveillance detection in the context of Executive Protection. It is NOT! Sir, I learned alot yesterday and I did some researching. I remember what you have said find that ninch special skill that will attract potential clients. If you can kindly leady to any coarses that are reputable and verifiable. Thank you for sharing your knowledge! Would like to joint personal security training in your company. Plz give the procedure and the direction. from Africa (Kenya). My training will be online if possible.